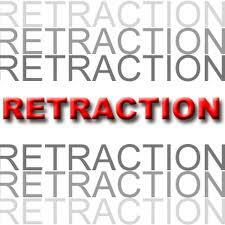 This retraction glorifies God. THANK YOU for your Christian example! May this public statement lead more of us to behave in such an honorable way. Thanks be to God!! !